Moto G 3rd Gen is, no doubt, a balanced budget device with design, comfort, performance and price. Every aspect of the phone is balanced so provide the maximum value to the customer. This is truly a “made for normal humans” device. Moto G 2015 is available in two variants, one is the 8GB version that has only 1GB of RAM, while the other one is 16GB that has 2GB of RAM. We will be reviewing the 2GB variant of Moto G here. The new Moto G comes in two basic color, i.e. black and white; but wait, Moto G 2015 has the option for the best phone customisation service, i.e. Moto Maker, which allows the customer to customise the phone according to their liking. This is the same Moto Maker service that was only available for Moto X last year. 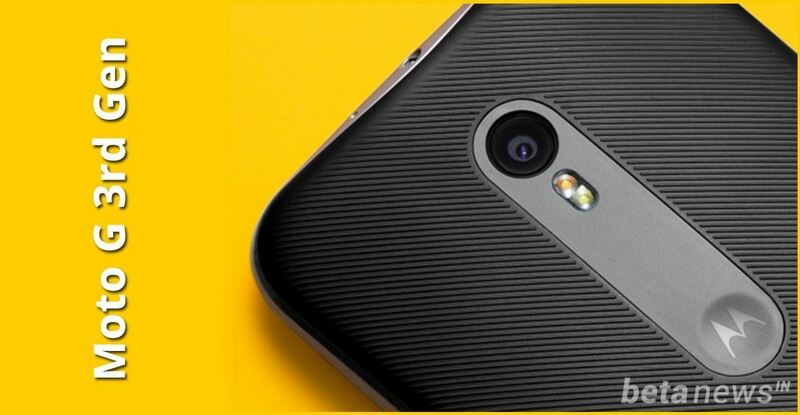 So, no doubt that everyone will get his or her own customised set of Moto G 2015. For general information, Moto G (8GB) is available for Rs. 11,999 while Moto G (16GB) is priced at Rs. 12,999 and both can be purchased exclusively from Flipkart. The box comes with all the basic accessories that one can expect. The box has a quality dual USB port charger, that used to come with Moto X 2014 along with a durable data cable. Though the earphones in the box are of below average quality and you won’t be surprised if you have purchased any Moto device earlier. They always try to cut down the price at this department. Though it seems logical to me, as most of us use third party earphones like, I myself use Sony headphones, no matter which phone smartphone I am using. *No battery, because Moto G has a non-removable battery and it is already sealed inside the phone. Moto G 2015 looks quite similar to the last generation Moto G from the front, but the back panel has been totally redesigned, especially the camera area, and now the phone has a more griper back panel rather than the slippery panel that was provided in Moto G 2nd gen. The quality of the back panel also looks better than the previous generation device and has textures all over it to make a strong grip over the phone. The phone is not sleek and measures 142.1 x 72.4 x 11.6 mm in dimensions, but still the feel of the phone in hand is quite premium, thanks to the new Moto design.The phone weighs 155 grams, this makes Moto G 2015 6 gram heavier and 0.6mm thicker than the previous Moto G. But this can be ignored as the new Moto G comes with IPX7 certification, which means the device is water resistant up to 1 meter and 30 minutes. The bezels around the phone are broader this time as compared to last year, but the black color of the phone minimising the effect of large bezels. The button placement is very similar to Moto G 2014. The back panel, as said earlier, is much more improved and refined. Overall the build quality and design of the phone is better than the most of the devices at this range. 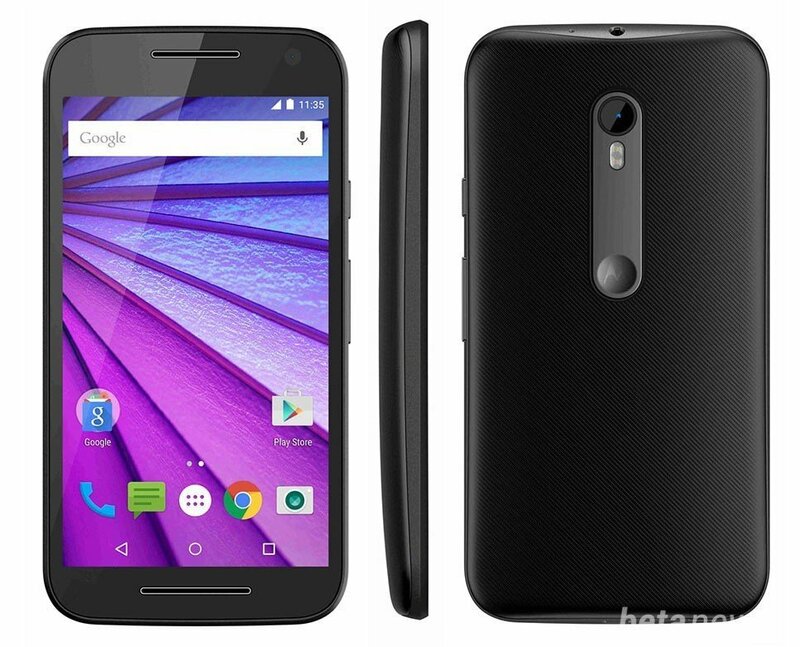 Moto G 3rd gen features a 5.0 inch IPS display and has a HD resolution of 720 x 1280 pixels. The screen is protected with Corning Gorilla Glass 3. There has been no change in the screen from last year, though it was rumored that Moto G 2015 will have a full HD display, but at last it ends up with the same screen that Moto G 2014 had. There are already many smartphones that provide full HD display at a lower price, like Lenovo K3 Note. We already have done a comparison between Moto G 3rd Gen and K3 Note last week. Overall there has been no upgrade in the screen section by Motorola. Camera is another section where Moto has improved a lot. This years Moto G comes with 13 MP primary shooter as opposed to 8 MP last year. This camera features autofocus, dual-LED flash, face detection, panorama and auto-HDR. It is accompanied with a 5 MP front facing camera which also support the auto-HDR feature. Overall, the camera has been upgraded and improved to a great extent. Though the front camera was a slight disappointment in picture quality, but primary camera compensate the issue. In short, you will get what you pay, and for Rs. 12,999 Moto G 2015 possess a decent camera. Moto G 2015 has a slightly upgraded hardware as compared to Moto G 2014. The device is packed with Qualcomm Snapdragon 410 Quad-core processor which is over clocked at 1.4 GHz accompanied by a Adreno 306 GPU. The phone runs on 2GB of RAM so there are no multi tasking issues or lags. Moto G 3rd Gen has 16GB of internal storage that can be expanded upto 32GB via microSD card, therefore storage should not be an issue here. Though you might feel a big difference if you opt for the 8GB version of Moto G, as it has only 1GB of RAM, therefore the multitasking and overall performance will not be as smooth as the 16GB version. So, we strongly recommend you to go for 16GB variant. The device is sealed with 2470 mAh battery and is very much optimised for longer battery backup. You can get around 5 hours of screen on time with normal usage, thanks to the low resolution 5 inch IPS display. Motorola has always relied on Android stock ROM and Moto G 2015 is no exception. It comes with Android 5.1.1 Lollipop with Moto Display and other Moto features that were only exclusive to Moto X till last year. The stock ROM is very smooth and you won’t find any type of lag or shutter while using the phone. Moto phones also enjoys the benefit of getting faster updates, and we can expect Moto G to get Android M update as soon as Android M final build comes to market. Moto G does not have any bloatwares installed and the ROM feel very light and fast in performance. Moto G 3rd Gen is a dual SIM smartphone with 3G ans 4G support and support almost all the LTE bands. It has Wi-Fi 802.11 b/g/n, Wi-Fi hotspot, Bluetooth v4.0, GPS and a microUSB v2.0. There is no NFC and Infrared port in the phone. Motorola has definitely done a great job in packing a balanced hardware and software within the budget. Moto G 2015 has the similar price that was tagged for Moto G 2014 in its launch but this time we get a better camera, better build quality, a bigger battery and an upgraded software. At a price of Rs. 12,999, the new Moto G is surely a great steal. Moto G 2015 is one the best budget device of this year. It has a beautiful design matched with a great performance and battery life. All this for mere Rs. 12,999.